drawmein: Draw Me In Appearance #12! Ink #5 by Fabrizio Fiorentino! Draw Me In Appearance #12! Ink #5 by Fabrizio Fiorentino! Well, I'm only late on this by about a month, but after a long few weeks I finally made a trip out to my not so local comic book store to pick up a huge stack of comics! 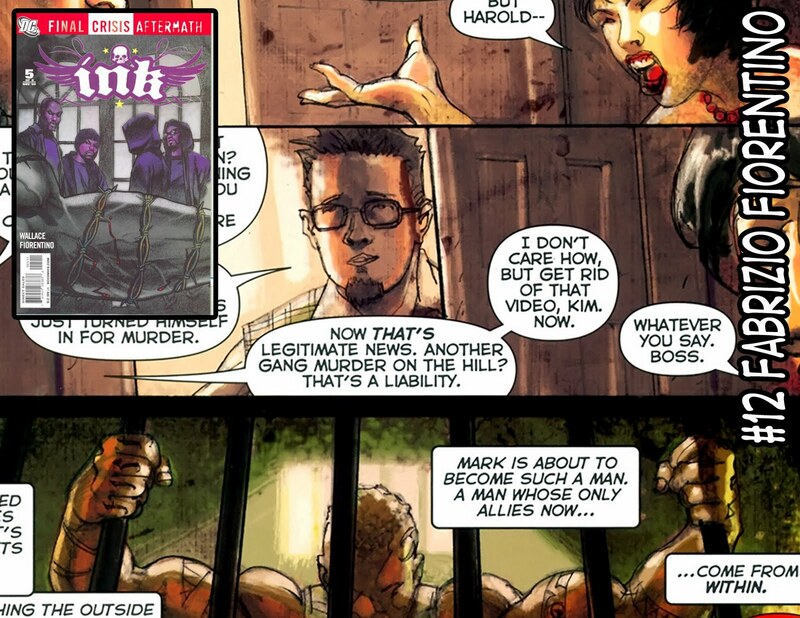 Including a few copies of Final Crisis Aftermath: Ink #5 drawn by Fabrizio Fiorentino. 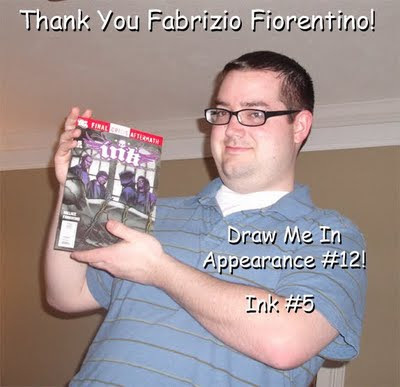 Thank you Fabrizio for helping this fanboy out in his quest!